Many people love to eat and cook chicken, why? Simply because chicken is very delicious and you can cook it in whatever style you wanted to, maybe roasted, poached, grilled or boiled and may even be combined with different kinds of ingredients but still achieves the great taste that you wanted. And if you want to know how to lose weight fast, include chicken in your daily meal. Why? Because chicken provides at least 14 out of 21 nutrients that has recommend daily intake. 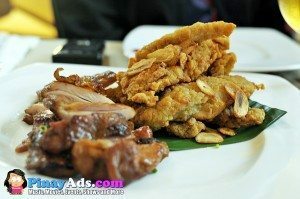 During the Bounty Fresh Chicken first quad-media event held at the classy & popular Chef’s Table Restaurant in The Fort, Patricia Cheng, the Brand Marketing Group Head gave us a brief history of Bounty Fresh. 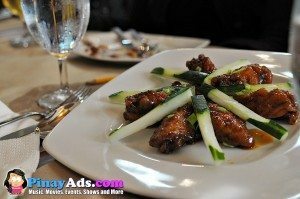 The event didn’t end with the product talk, friends from the media and selected bloggers were treated to an array of delectable chicken dishes. 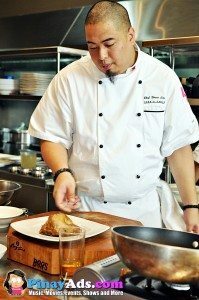 Popular TV celebrity gourmet chef, Bruce Lim personally prepared and demonstrated delicious and healthy chicken recipes. Also, respected nutritionist Joan Sumpio shared that one of the most versatile and healthy ingredient we can include in our meals is Chicken. She added that chicken is full of nutrients like protein which is considered to be the ones that helps maintain our body structure by completing the required amount of amino acids that we need. One more thing that you should know about chicken is that there is a kind of nutrient that is a good source of cancer protective B vitamin which is called niacin. It will repair a damage that is because of the DNA or genetic damage. However, Ms. Sumpio advised not to buy any dressed chicken since not all chicken out there have the same amount of nutrients. Always look for Vacuum-Packed Chicken because they are fresh, delicious, safe and longer-lasting. So whenever you are in a supermarket, look for Bountry Fresh Chicken products for a healthy and delicious meal. 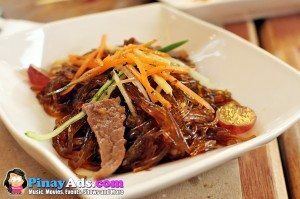 Bounty Fresh Chicken, a Filipino-owned company and one of the leading and fastest growing suppliers of high quality chicken products, stayed true to such principle by providing only the best poultry products to Filipinos. Yes! Bounty Fresh is Fresh! We mostly Buy Roast Chiken at CHOOKS TO GO!!! !